Have you ever tried working on piece after piece of fabulous jewelry and then voila!- You’re stuck! The creative ideas are out the window even though you’ve been working on your creations for over a few days. This 2019, how can you keep your creative juices flowing? What will you do when you’re stuck in a rut? Talk to customers. If you happen to own a beading store, you will always get to talk to customers everyday. Try asking them about their creations and how they go about with their beadwork. Welcome their ideas and perspective so you can include them in your future creations. Don’t forget to incorporate your style as well! Gifting. Are you the type to give someone a handmade present? Just the thought of creating a special jewelry for someone could spark your creativity. It could be a charm bracelet, a spunky necklace or a pair of quirky earrings — the list is endless! Inspire others. When you begin to create new jewelry, do you ever think about how to inspire others? Nurturing creativity is not just about creating beautiful things. It is also about thinking how you can inspire others and bring out the best in their work. When creating your next piece, think about how other beaders can take inspiration from your work –from your stringing style to the jewelry components you use and even to your essential beadweaving supplies. Inspiration is everywhere. You don’t always need to surf online to get inspiration. You can find inspiration everywhere! Go out and get in touch with nature. Collaborate with other artists and learn from them. Create a mood board and pin some paintings, various illustrations, color combinations, patterns or even doodles! Try going to antique stores, galleries, and flea markets. You’ll see tons of inspiration everywhere –from original crafts to quirky ones down to color palettes and exotic fabrics! You will never run out of unique things to see. Be present. We all get busy from time to time so why not take a step back, away from the hustle-bustle and just be present. This may sound a bit cliche-ic but when you stop once in a while and just step outside, see friends, indulge in great food, and bring yourself to a relaxing state, you can definitely fuel your imagination. Don’t get so worked up with your designs. Go out and have fun! Taking a break is also an important element in taking your creativity up a notch. 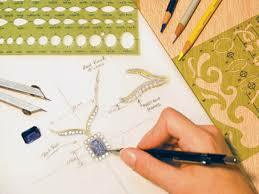 Beading can be a fantastic hobby and a fun outlet where you can explore different possibilities. At times, the routine can be quite repetitive so here’s hoping the tips above will always keep you and your beadwork moving in a creative direction!